Cityscore of Boston ~ Business Intelligence y Big Data: ¡Aprende Gratis sobre Analytics! CityScore is a new initiative designed to inform the Mayor and city managers about the overall health of the City at a moment's notice. By aggregating and displaying key metrics from across the City, CityScore helps the Mayor and other executives spot trends that need additional investigation, and measure the impact of changes to process and policy. 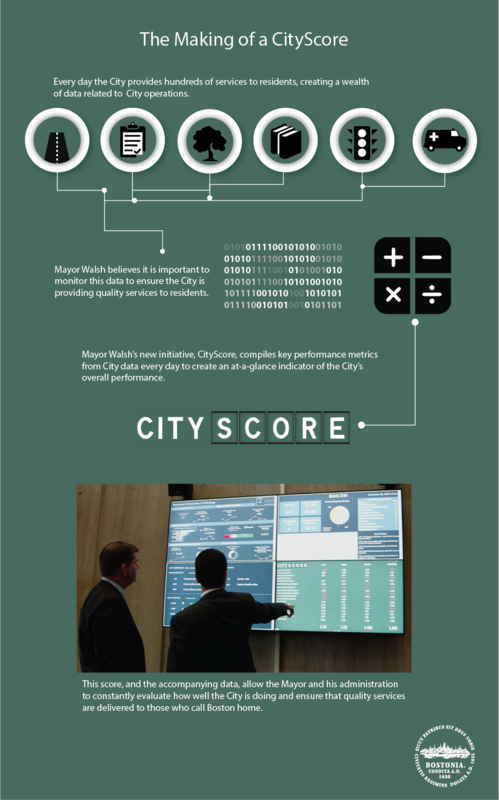 Cities and city government are complex, and CityScore gives leaders easy, real-time access to a vast amount of information about the city services critical to quality of life in Boston.